Why should you let Microsoft ruin an otherwise perfect day? When I was younger, I got together with friends now and then for an evening of drinking beer and discussing the perfidy of Microsoft and just how bad Windows was technically, especially considering the endless amount of R&D money poured into it. Nowadays I am tired of hating, and if I decide to take it up again as a hobby I can think of many better targets for my bile than Microsoft. Really. Certain terrorist groups, American politicians we won’t name here, and N. Korean dictators are all worse than Microsoft when it comes to pure “ruin the world” evil. Even worse, Bill Gates has gone from exploiter and astroturfer-in-chief to (possibly) the most generous philanthropist in history. I mean, how can you hate someone who goes around wiping out deadly diseases? That depends on how long a memory you have, and mine can go to the moon and back, no problem, so Microsoft astroturf makes me madder today than it did when it was fresh because it was the original “fake news” that started chipping away at people’s trust in American journalism — and you know where that led. But I don’t think anyone at Microsoft anticipated the 2016/2017 political scene back when they started down the highway to astroturf. They just wanted people to believe Windows was more reliable than it really was, and that Microsoft was a benevolent uncle of a company, not a greedy, grasping corporate monster. I personally attribute this improvement in Windows to Linux. All that good stuff about competition, you know. So yes, every Windows user should say “thank you” to every Linux developer. It won’t happen, but I’ve long thought it should. Anyway, Linux and Windows are both far more usable by ordinary people than either one was 10 years ago. So why should I hate Windows or Microsoft? It doesn’t do any good. Besides, I now do nearly half of my “computing” in Android. Should I start hating Android now? So! I guess the center in my brain responsible for that will never evolve after all. Who cares, it is the way I am. Blame, system, my parents, me self. Don’t care about that stuff. When I will trust MS, well there is four levels in the kernel and only two are accessible to the average programmer. Why things need to be that complicated, well we know now. 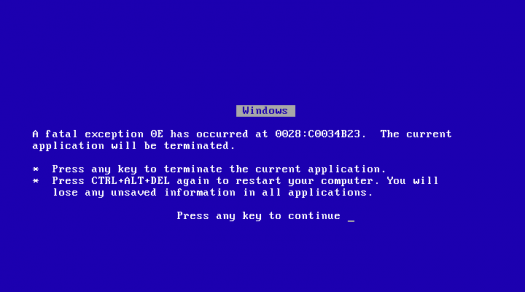 I’m very grateful that old versions of Microsoft Windows crashed left and right. I would have never found Linux otherwise! Today I care about free software because I care about freedom. Eighteen years ago I got interested in free software because I didn’t have enough money to buy all the copies of Windows my family needed and I was sick to death of dealing with crashes and reinstalls. What a splendidly written puff piece. Do you feel that Microsoft’s advertising branch can’t endear Microsoft to open source thoroughly enough? Sure, Microsoft has been contributing to open source. Sure it has some redeeming qualities. But it still ships Windowson almost every computer on the market, it still bids against free software in the government sector, it has no real interest in interoperability or consumer choice. It’s nice that you’ve decided you’re too old to care about these things, but don’t try to normalize a corrupt and harmful corporation. I guess I’m unrepentant… I would prefer to retain control of my computer systems. Perhaps “hate” is too strong a term, but “Intense, active dislike bordering on paranoia” might be more accurate. The old saw: “once burned, twice shy” is very accurate with respect to my experiences with the Redmond products. I have burned that bridge, cut the telegraph wires and maintain an ongoing jamming operation for all things MSish. “Hate” is indeed too strong a word, but I definitely think it’s a good idea to treat Android with skepticism. Google is not your friend, and Android, while nominally open, is a security and privacy nightmare. My phone’s currently running LineageOS and doesn’t have Gapps installed, so it’s a lot better than a stock Android install. But that’s not a reasonable solution for most users, and it still requires proprietary blobs to work. In 2003, there was a writer who recommended something interesting. Put Windows as a shell, on a Linux core. Guess effectively what Android is (and why you don’t hate it). I Cringely What Lies Beneath. Everybody must decide for themselves, including if your going to use the provided for you computers on a job, that may be Windows. I keep a Windows box for games. I prefer Linux for everything else, but not all “my” pc’s are mine to control, as both work and Microsoft have rights. They are still the dirty aggressor they’ve always been. If you use Windows, you’ve given up on privacy and the right to control your own data. @Randal I have a Windows laptop that was “provided for me” by a publisher that employs me. I start it up once a week so it can update itself, but haven’t used it since I received it. I do all of my work from my home office on my Linux desktop, and when I go to a conference I carry one of my Linux laptops. I personally find myself pulling hair from my head whenever I’m forced to work on Windows. Like Mike S., I too found Linux when an update almost hosed my copy of Windows 2000. After 2 hours of fixing things the first thing I did was search on ‘alternate operating system’. This thing called Linux popped up, starting a 17 year journey that is still going strong. I use Linux at work as well, so I can honestly say I wouldn’t use Windows if you paid me. They are in an embrace stage and we need to remain optimistic yet vigilant. They change the GUI style quicker than the fashion industry changes clothing styles. It’s gotten to the point where I have begun memorizing the cpl commands for the control panel because it is easier. Meanwhile at home I have been using gnome 2/mate for almost 2 decades. @Kevin M: If I wanted to point to a stable UI that hasn’t changed in radical and obnoxious ways, GNOME wouldn’t be my first example. It’s not so much that the Linux world doesn’t see huge and unwelcome UI overhauls as that when it happens there, someone forks the old codebase instead of a bunch of people just staying on the previous version.